It is fundamental to consider the potential market penetration of alternative-fuelled vehicles and alternative propulsion systems (e.g. electric/hybrid powertrains) in order to assess the impact on the environment in terms of reducing GHG emissions and pollutants. Even the best technical solutions will only have a reduced impact if market penetration is limited. 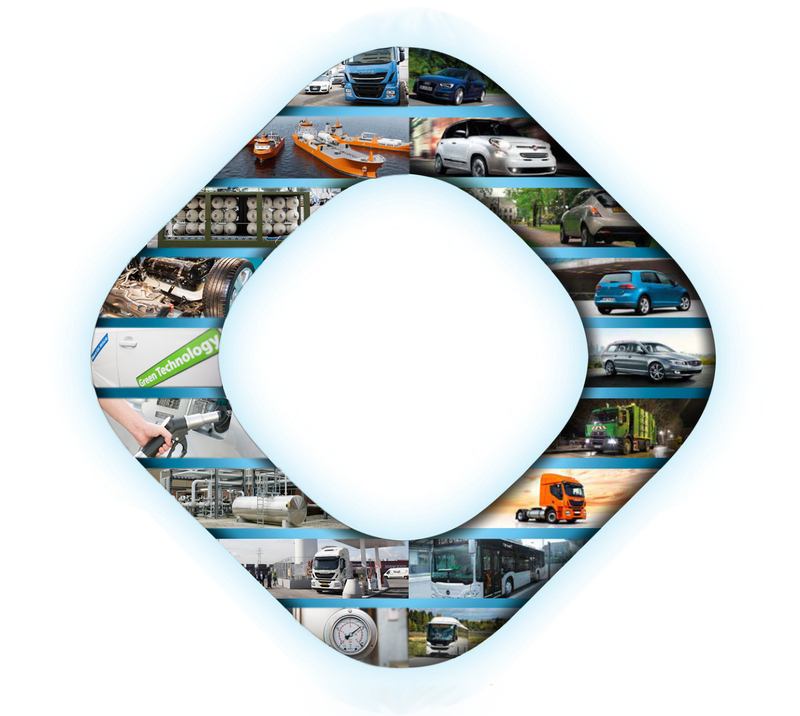 Natural gas vehicle technologies have been developed and on the market for many years, resulting in the availability of mature, affordable, reliable and safe technologies. The industry is still investing to continuously improve performance and develop a wider range of fully dedicated, highly efficient and clean engines. Technologies, both at engine and at vehicle level, exist for both light and heavy-duty applications, allowing short and long-range operations and logistical efficiency. Short distances (using CNG) or longer distances such as the transportation of goods from one country to another (using both CNG and LNG) benefit from these technological advancements. A technology-neutral approach is needed in order to have a fair comparison among different solutions that could provide an answer to specific and realistic requirements. The only way to ensure such an approach, while considering the need for decarbonisation, is to consider a Well-to-Wheel perspective. The current debate is strongly focused on electromobility as the most effective solution to decarbonise the transportation sector in a cost-effective way. 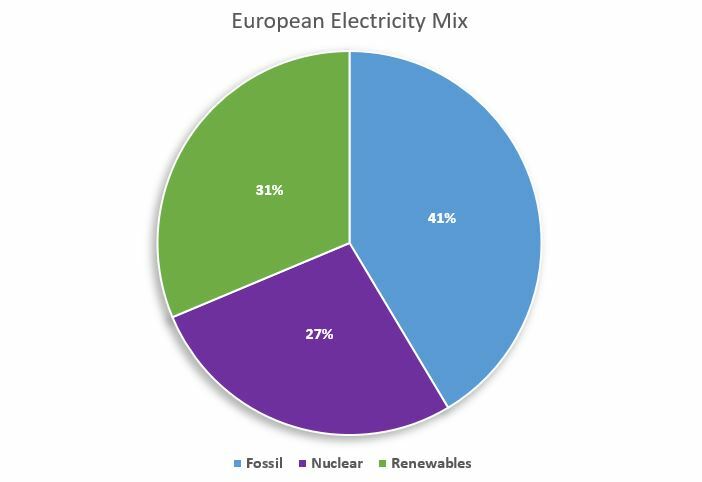 From the decarbonisation standpoint, current EU electricity production is dependant on fossil fuel (41% fossil fuel, 34% of which is natural gas, 27% nuclear, 31% renewables), where coal is representing, especially in some countries a significant portion (60% of the fossil fuels – EU28 2014 – Eurelectric), with a correspondent CO2 generation by 141.1 g CO2 eq / MJ. In the future, a significant increase of electricity demand is expected (a 69% rise in the period 2012-2040 worldwide, according to the World Energy Outlook 2016, IEA). This will be accompanied (on the production side) by growth in the use of renewables and also with a corresponding higher consumption of natural gas. However, in some cases, the decommissioning of some nuclear plants may even dictate an increase of electricity production from coal-fuelled power plants with a potential increase in the carbon footprint. Therefore, considering electromobility as zero-emission vehicles when referring to decarbonisation is misleading. Current legislation does not take into consideration the whole lifecycle process, but rather selectively focuses only on the Tank-to-Wheel performance of vehicles, leaving out the production phase of the fuel or the electricity respectively. 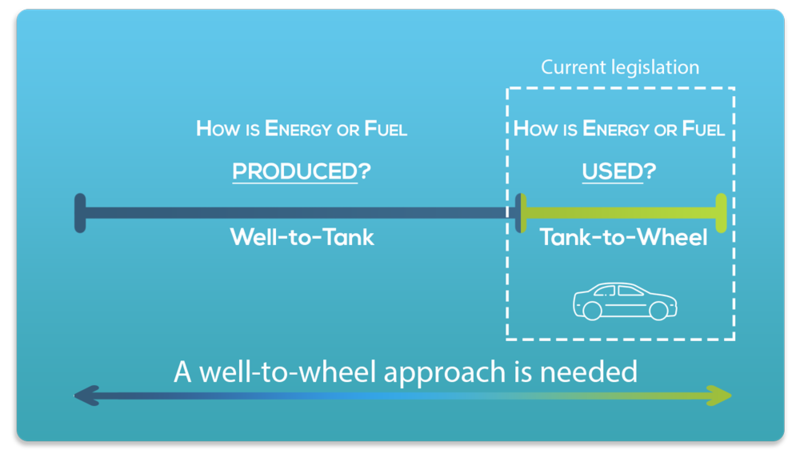 The current Tank-to-Wheel approach risks distorting the market, forcing the development of only one solution. To guarantee a fair and technology-neutral approach, it is of paramount importance to introduce the Well-to-Wheel approach. This will be fundamental to accelerate the up-take of renewable energy sources in the transportation sector.